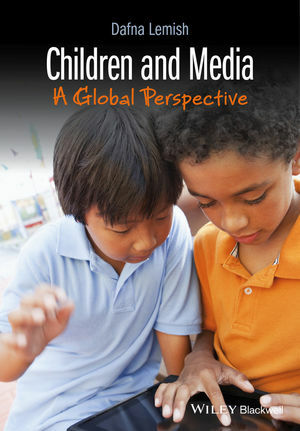 Taking a global and interdisciplinary approach, Children and Media explores the role of modern media, including the internet, television, mobile media and video games, in the development of children, adolescents, and childhood. Dafna Lemish is Professor of Communication and Dean at Southern University of Illinois, Carbondale, and founding editor of the Journal of Children and Media. An ICA fellow, she is author and editor of numerous books and articles on children, media and gender representations including most recently: The Routledge International Handbook on Children, Adolescents and Media (2013), Screening Gender on Children’s Television: The Views of Producers around the World (2010), and Children and Television: Global Perspectives (Wiley-Blackwell 2007).